I love pancakes so much that I could almost dedicate my entire life to them. In our family Saturday is pancake day and we prepare them for lunch for everyone to enjoy often also including friends. Being curious on ways to improve recipes I try to make them differently every now and then and most recently I made oven-baked pancakes. Since I love cooking with apples I also decided to make some apple pancakes. I added bacon since it was lunch and not dessert. You can off course skip the bacon and serve them with cinnamon and a heavy whipping cream if you want to serve them as a dessert. 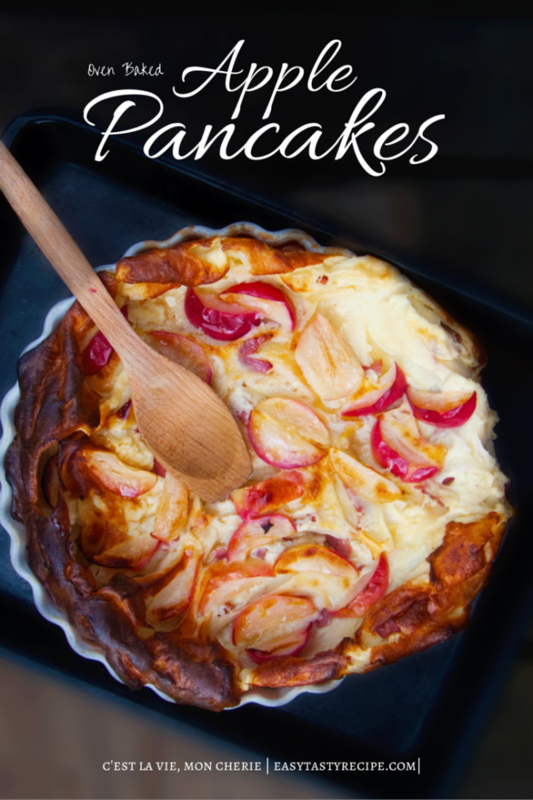 Preparing oven baked pancakes is easy and actually easier then regular pancakes… but equally as tasty. Enjoy them yourself this weekend! Preheat the oven to 430 Degrees Fahrenheit ( 225 Degrees Celsius). In a large bowl whisk together the flour, sugar, salt and baking powder. Pour in 1 cup of milk and blend well until all lumps are gone. Add the eggs and stir until combined. Pour in the remaining milk and whisk. Cut your apples to medium-sized slices. Slice the bacon and cook with the butter in a pan until crispy. Pour down the bacon and the left over butter and stir with a spoon. Place the apples in a nonstick pan. 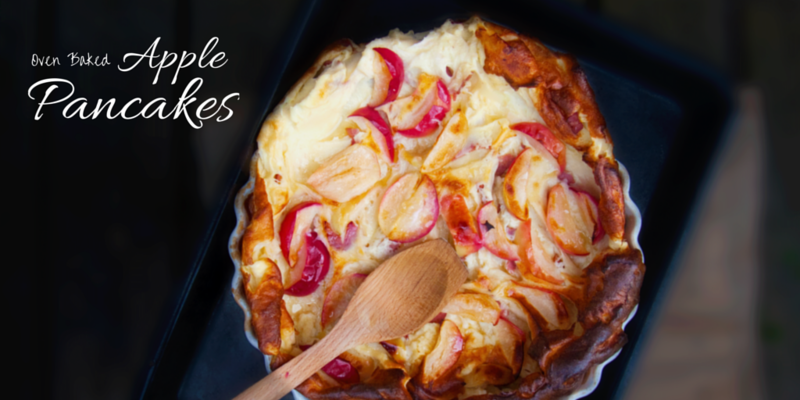 Pour down the batter over the apples and cook in the center of the oven for 20-25 minutes. If desired sprinkle some grated cheese over the pancakes or for dessert decorate with white powdered sugar.